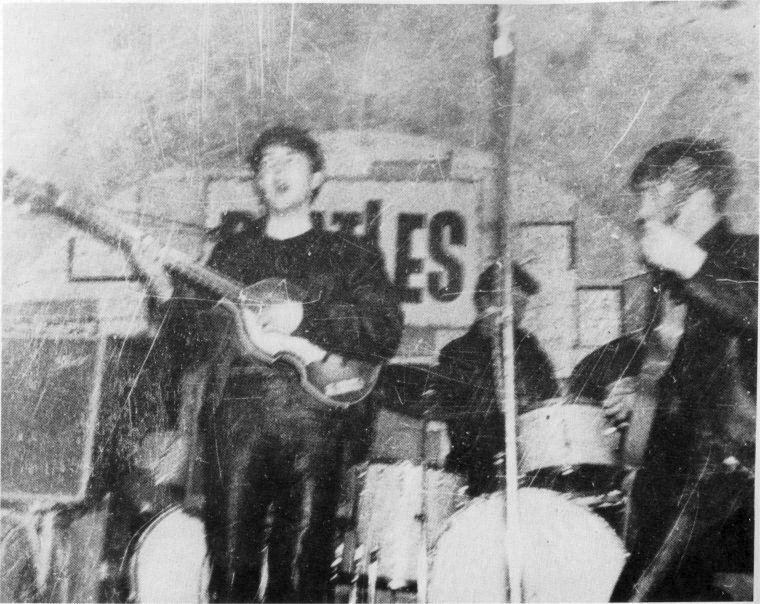 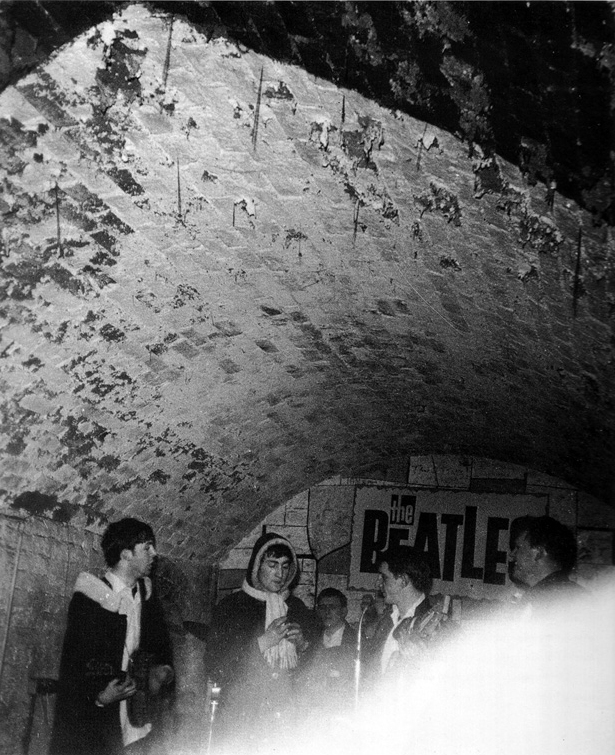 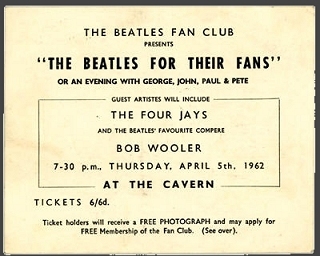 This was a special "going-away" performance for The Beatles Fan Club before The Beatles headed off to Hamburg. 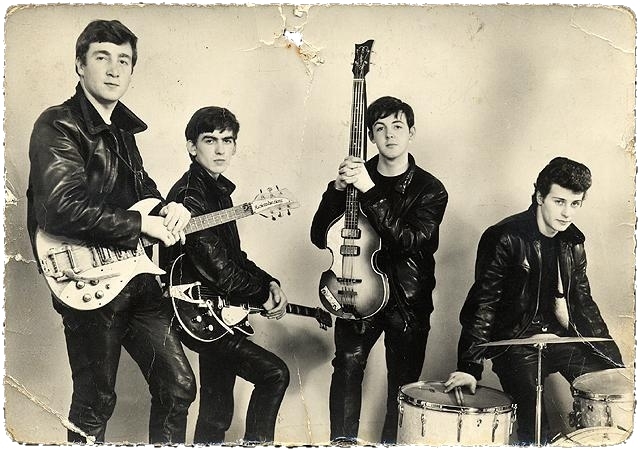 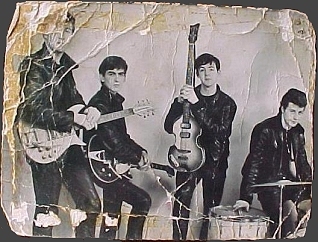 For nostalgia sake, The Beatles started the show in their leathers. 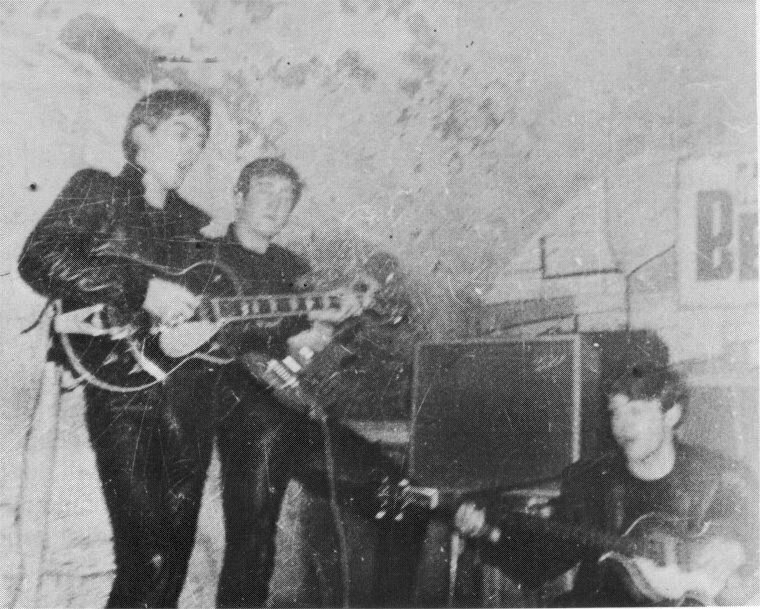 After a break, they changed into their suits. 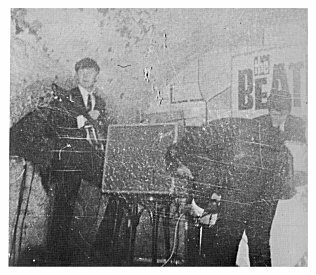 After the show, many fans gathered around The Beatles to have them autograph the free photo cards given to the fans. 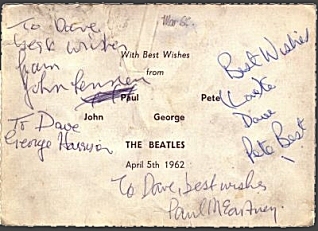 One fan chose to avoid Paul stating that he "was such a show-off...he was acting like he was a star. 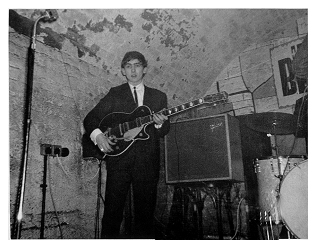 So I passed him by". 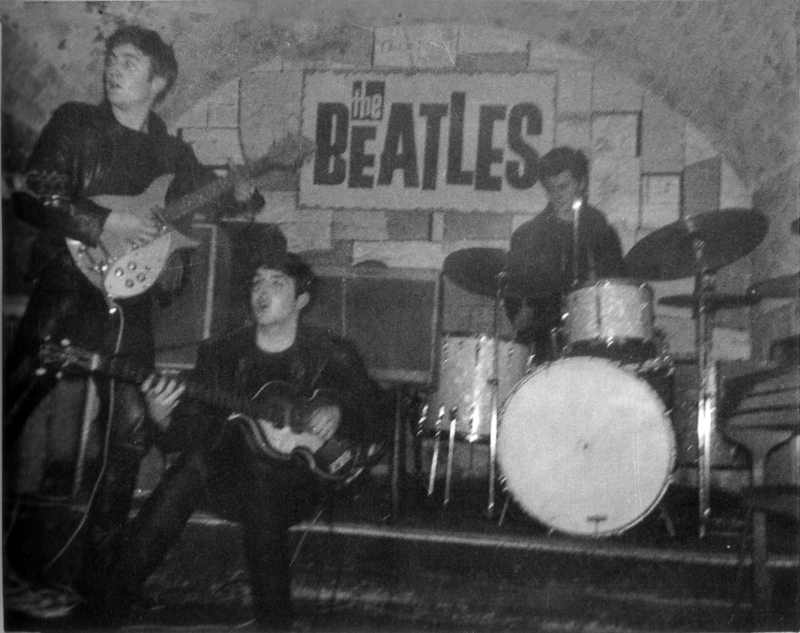 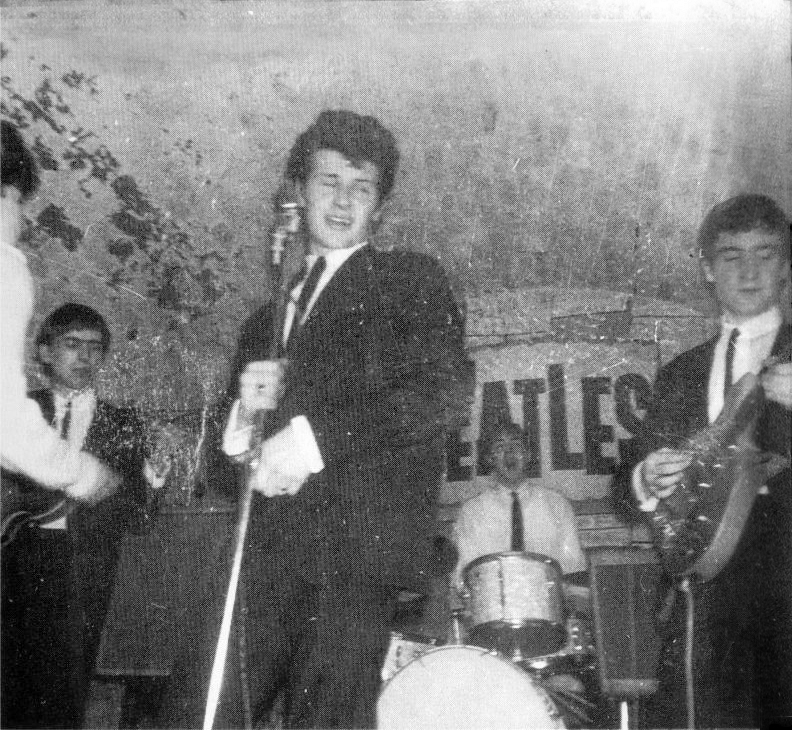 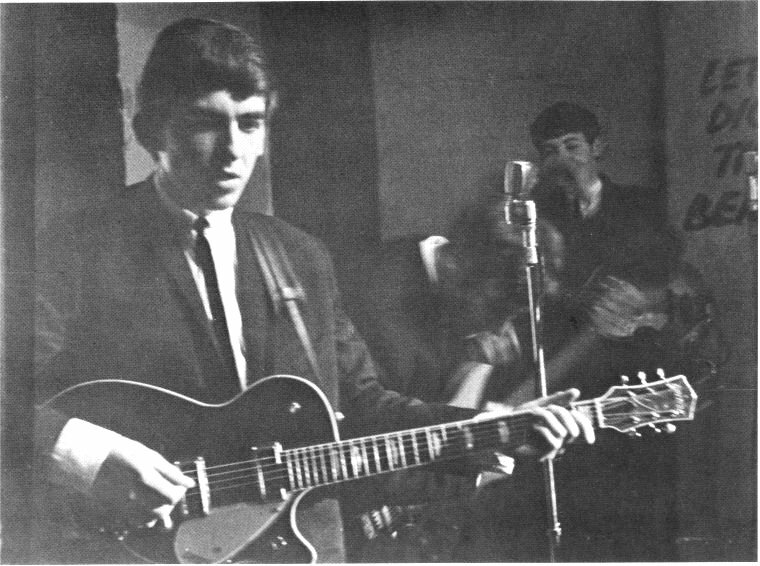 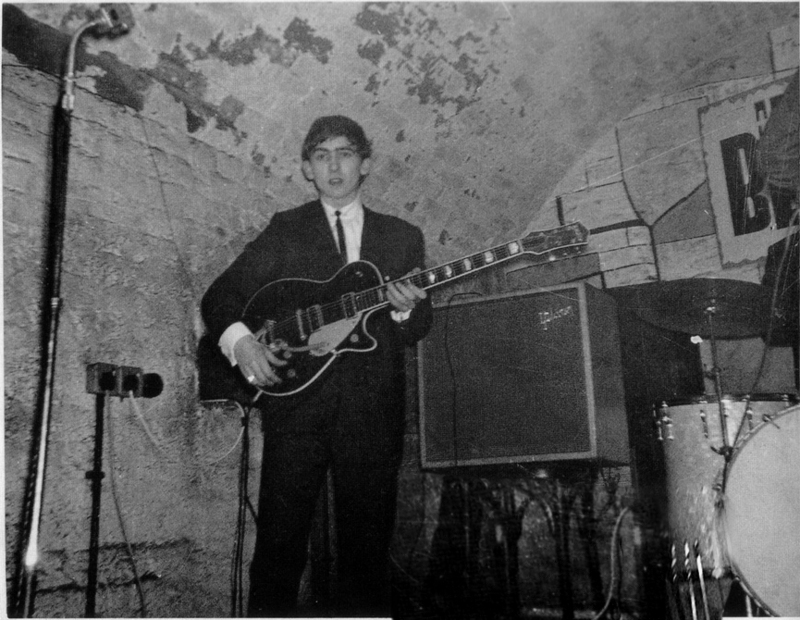 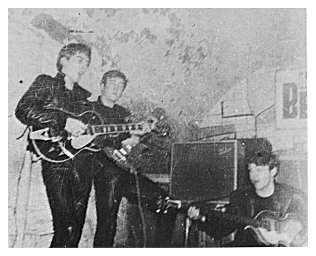 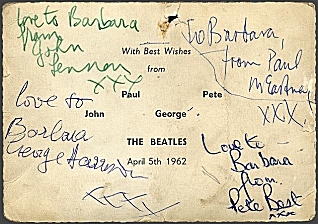 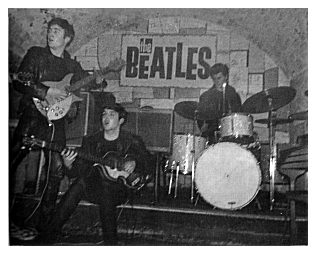 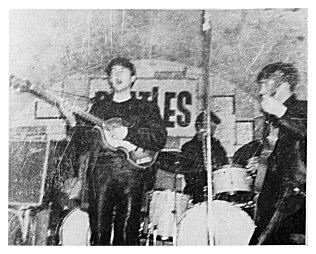 According to Gareth Pawlowski, in How They Became The Beatles, only photos 1-5 were taken by Brian Farrell (brother of Bernadette Farrell, George's girlfriend) and they are the only photos taken on this date. 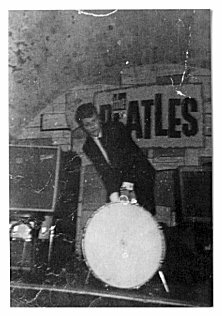 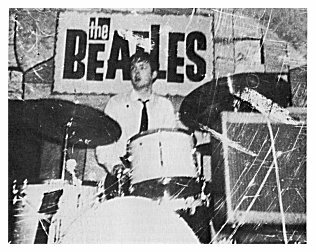 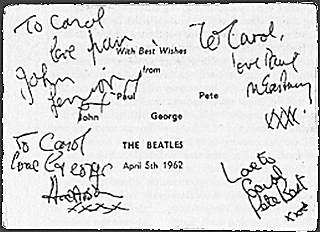 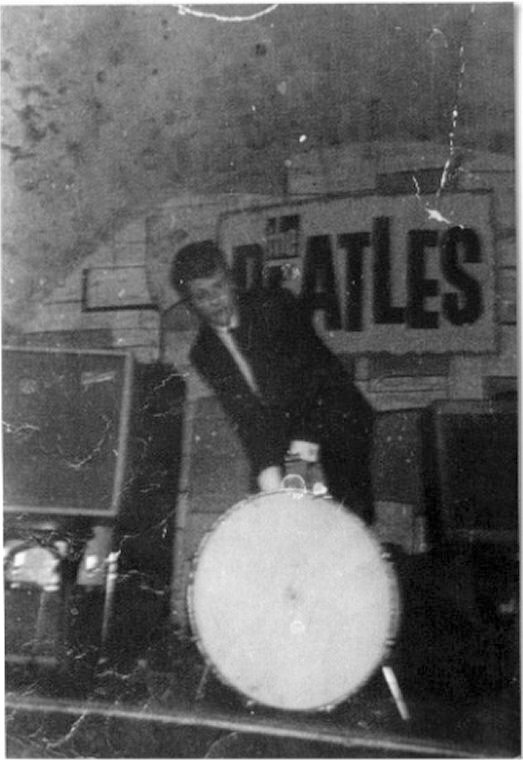 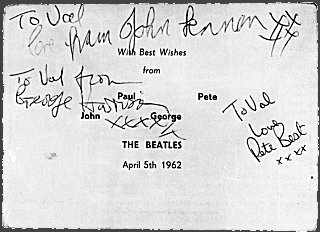 He further indicates that the large "Beatles" sign was only used on this date. 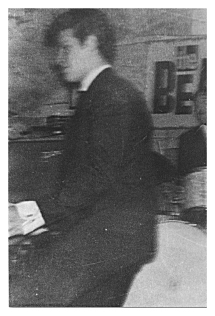 Apparently, photos 6-9 surfaced after Pawlowski's book and were taken by someone else. 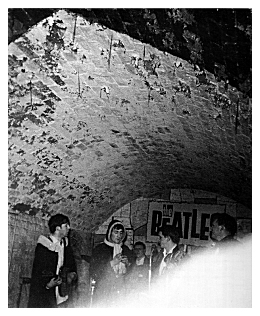 Photos 6-8 are referenced by Roag Best, in The True Beginnings, as being this date. 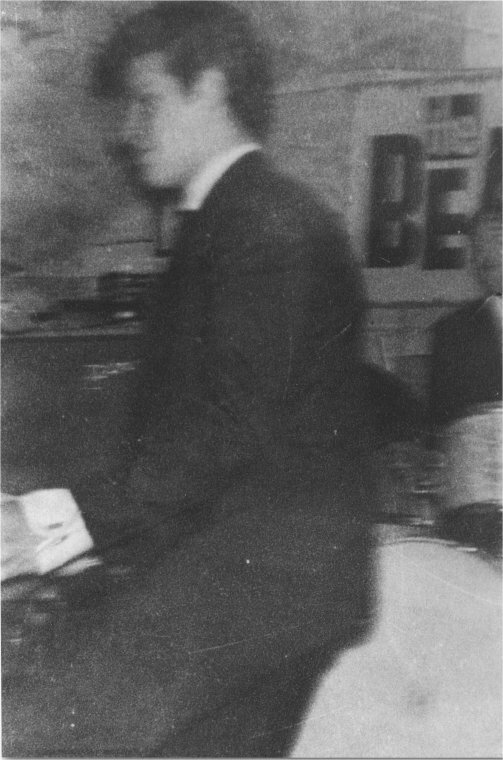 Photo 9 is from an unknown source and the Santa Claus suits are a real puzzle. 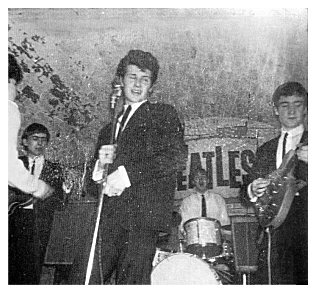 A few rare photos as Pete takes the microphone and Paul handles the drumming duties. 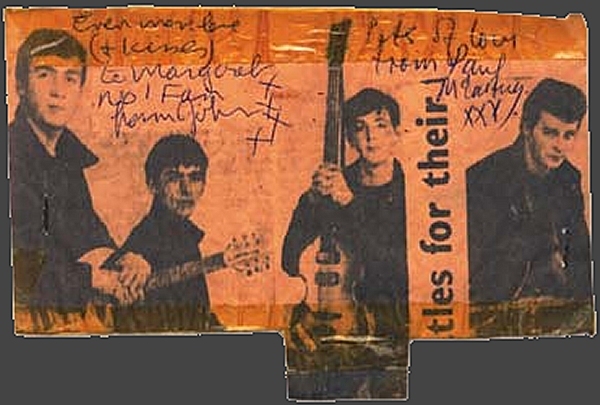 It's not commonly referenced that Pete sang lead on a few songs. 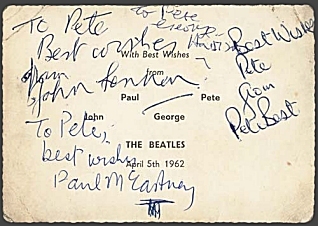 Through 1961-62, he sang "Boys", "Matchbox", "Wild In The Country" (made popular by Elvis Presley) but Pete's spotlight song was "Peppermint Twist" (made popular by Joey Dee and The Starliters). 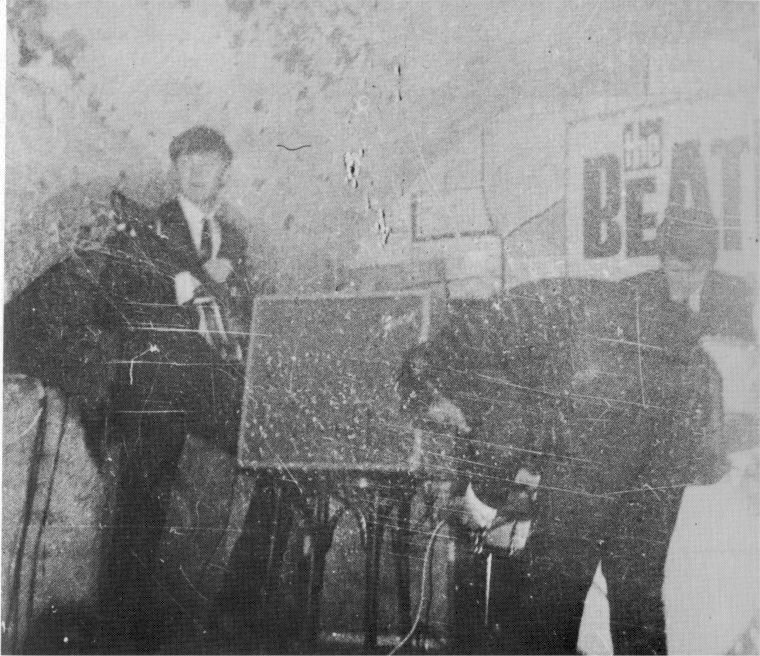 Four Jays (the opening band) on stage. 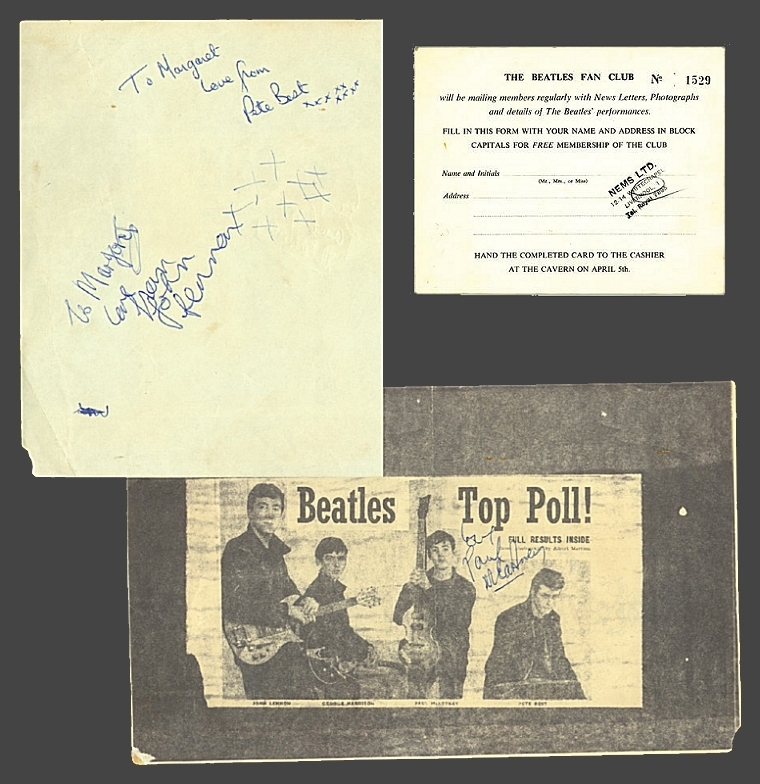 These cards were given to the fan club members who attended the show. 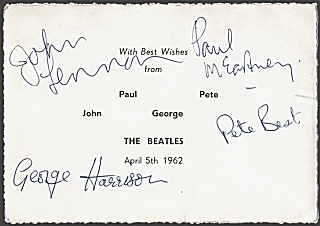 Below are a few of the cards autographed that night. 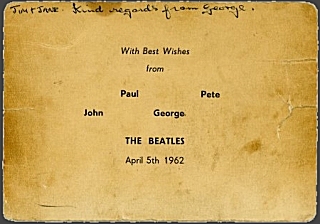 This is the reverse of the card to the left. 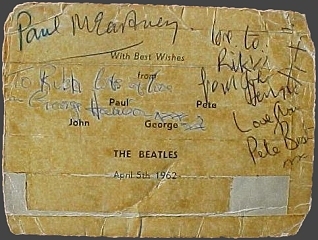 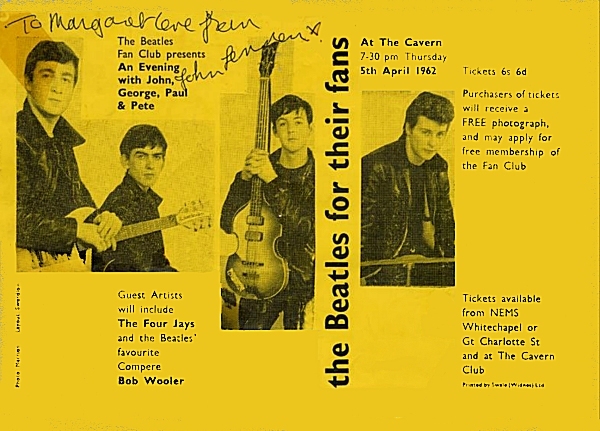 This is the first handbill to feature photos of The Beatles.